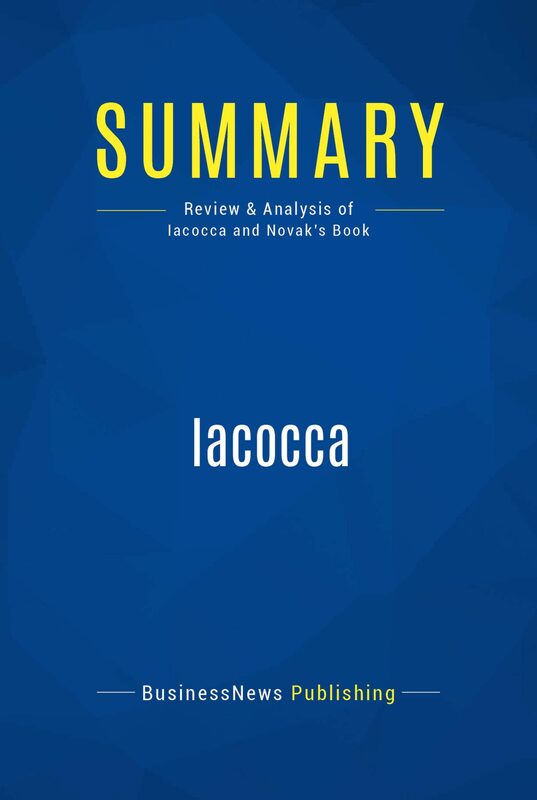 The must-read summary of Lee Iacocca and William Novak's book: "Iacocca: An Autobiography".This complete summary of the ideas from Lee Iacocca and William Novak's book "Iacocca" tells the story of Lee Iacocca and his career as a general manager for the world's biggest car companies. In their book, the authors reveal how Iacocca dealt with the massive challenges of the motor industry and how he took Chrysler and turned it around, leading it to $925 million profit in 1983. This summary also explains Iacocca's vision for the future: more investment in students who want to go into technology, investment in the national transport infrastructure and encouraging greener energy.Added-value of this summary:• Save time• Understand key concepts• Expand your business knowledgeTo learn more, read "Iacocca" and discover the secrets behind the success of this ground-breaking general manager.